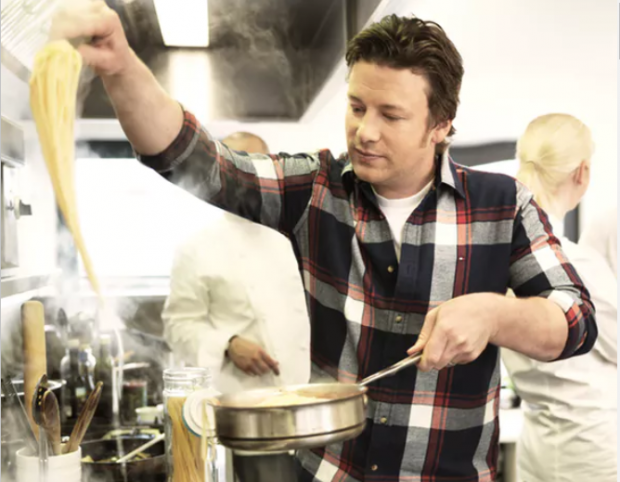 Celebrity chef Jamie Oliver loves using pasta. There has always been reciprocity in the hospitality industry, whereby chefs, sommeliers and maître ds, travel and work in other counties in order to develop their knowledge and skills. What is known in the industry as the “stage” is an important juncture in a chef’s evolution and training – and most UK-born Michelin-starred chefs have done one. In 2017, People 1st (the sector skills council for hospitality and tourism) found that 25% of hospitality businesses had vacancies, 22% of which were for chefs. Many of these vacancies were reported as being hard to fill because there simply weren’t enough skilled applicants. In 2018, according to the Institute for Fiscal Studies, out of 330,000 chefs in the UK, 15% were EU immigrants. Of these, 28% were graduates and 22% of all new hires came from the EU.